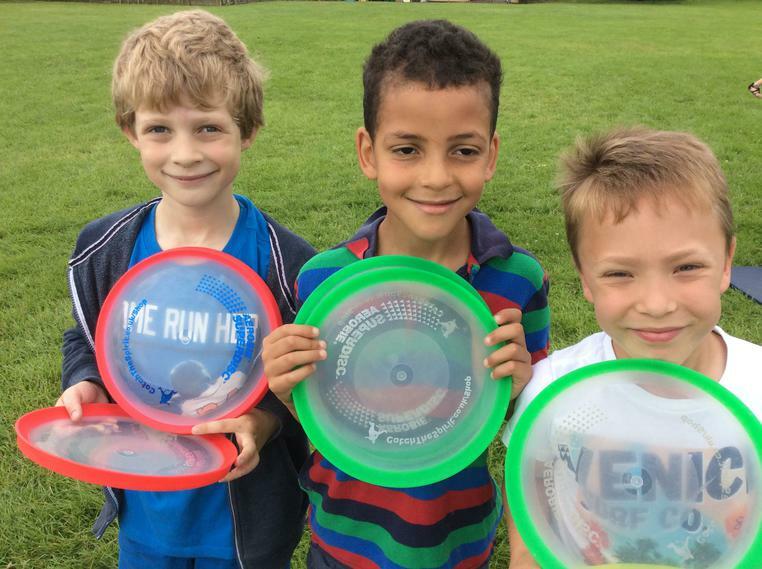 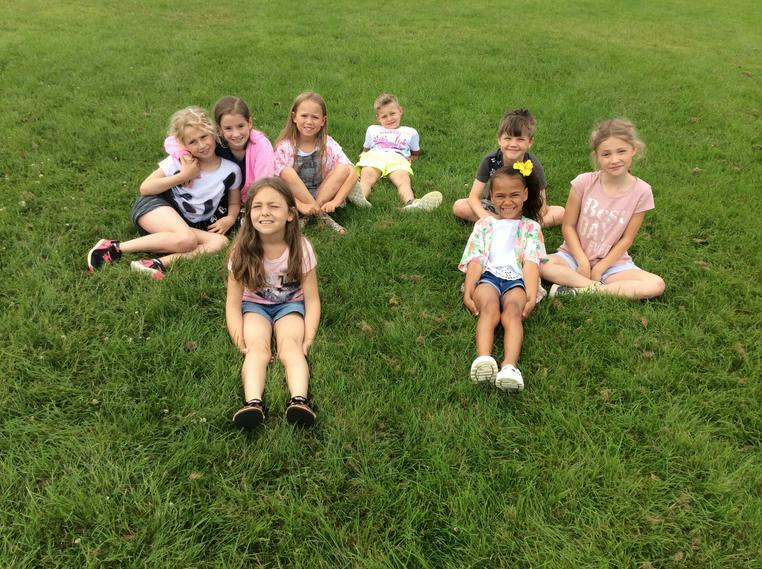 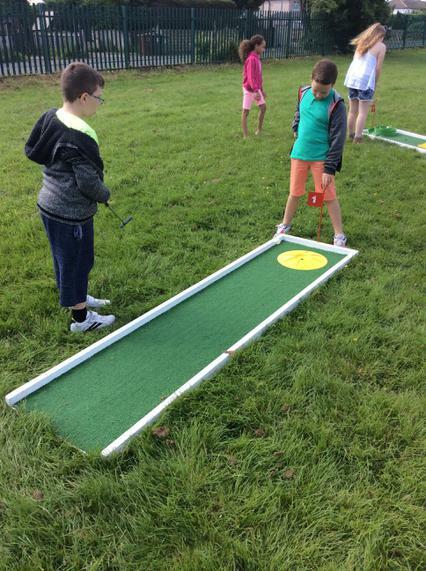 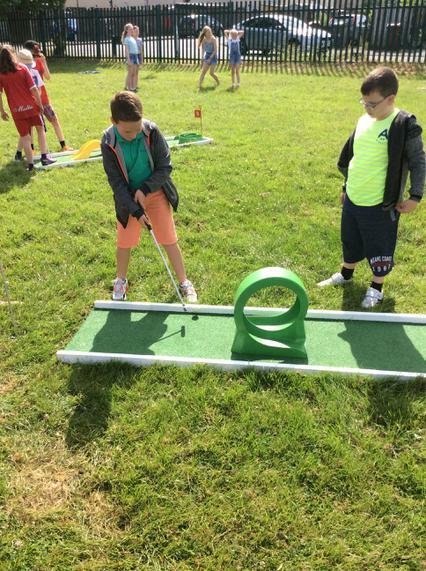 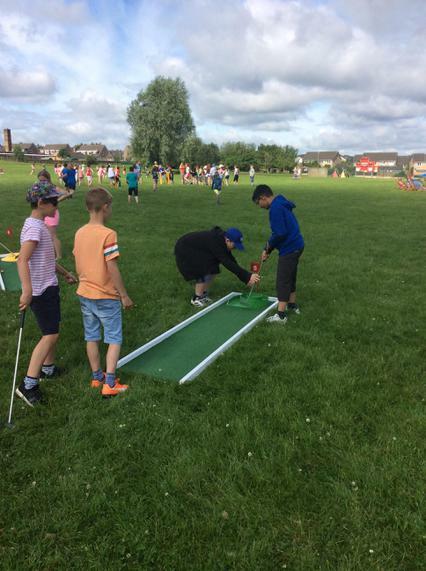 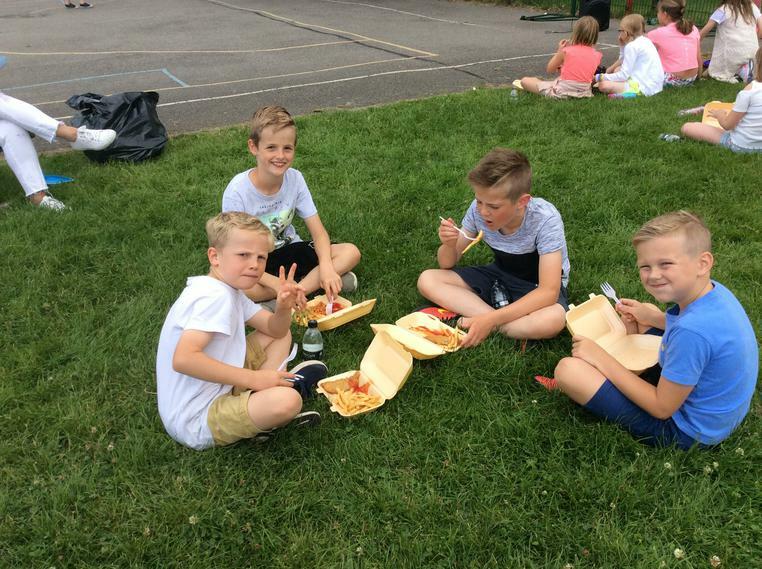 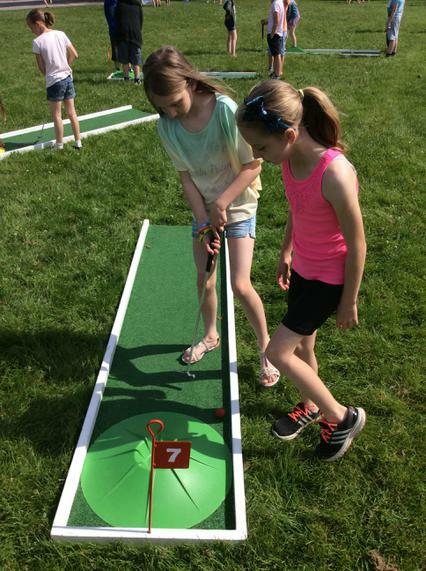 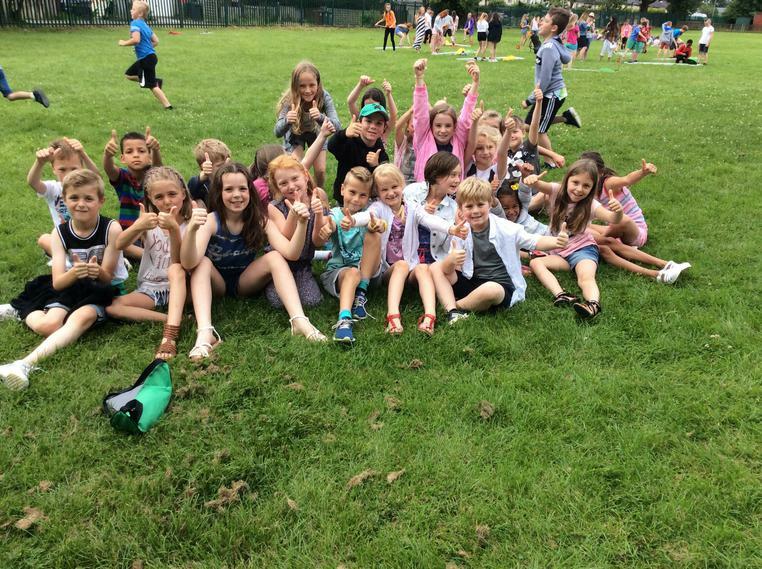 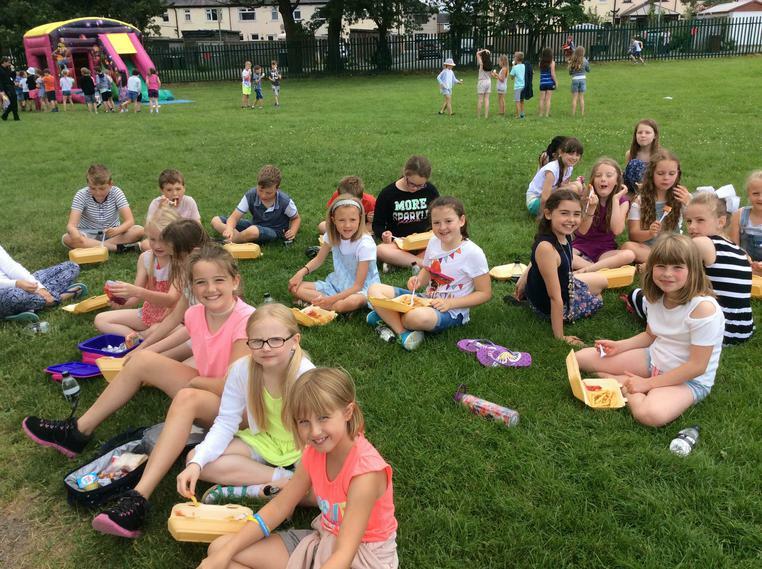 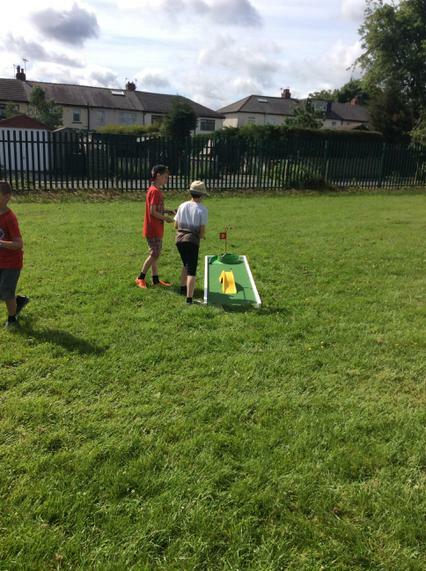 Year 5 - 'I enjoyed the crazy golf'. 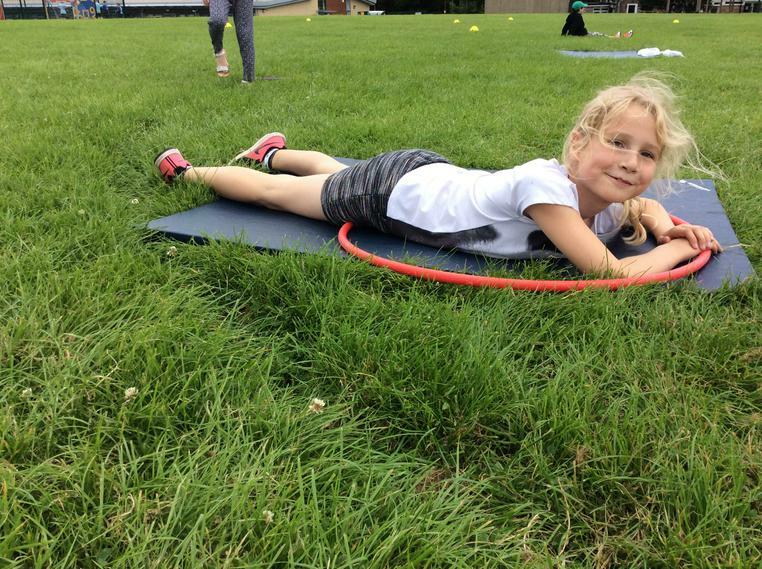 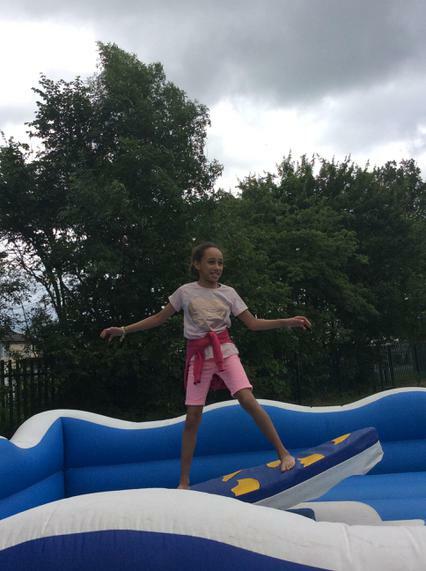 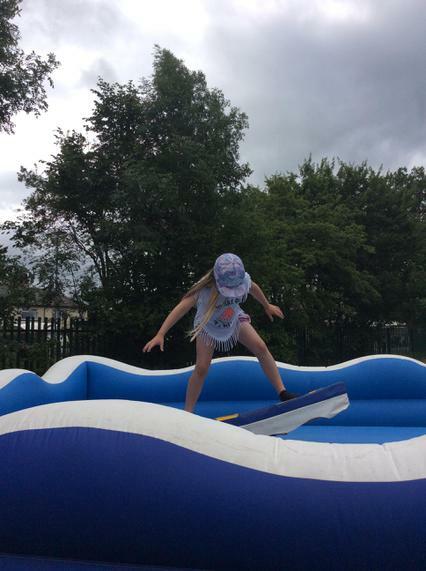 Annabelle Year 4 - 'I loved seaside day because we go to go on surf simulator...it rocks you around so much you fall off'. 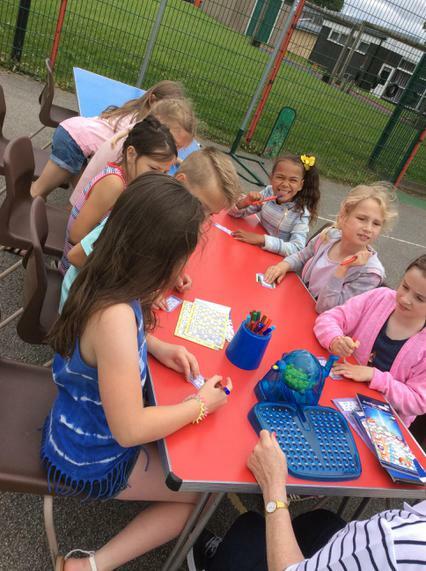 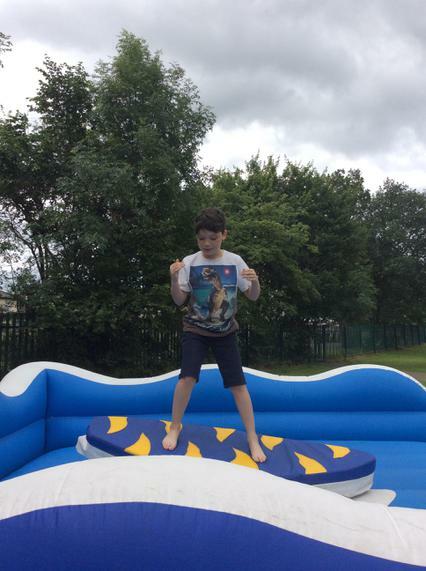 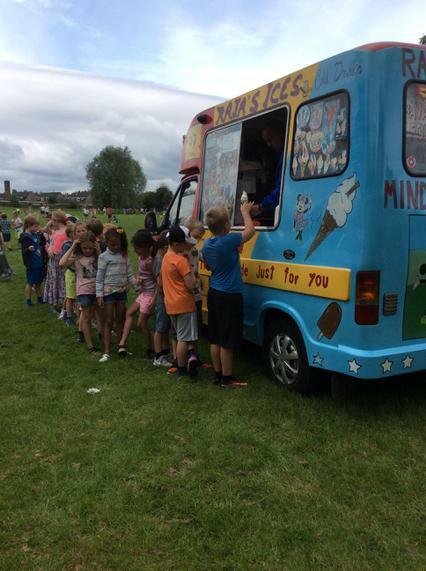 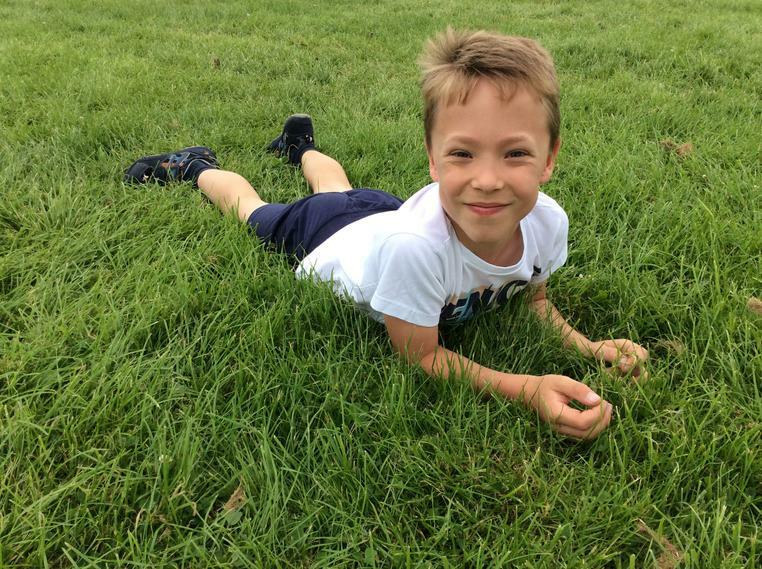 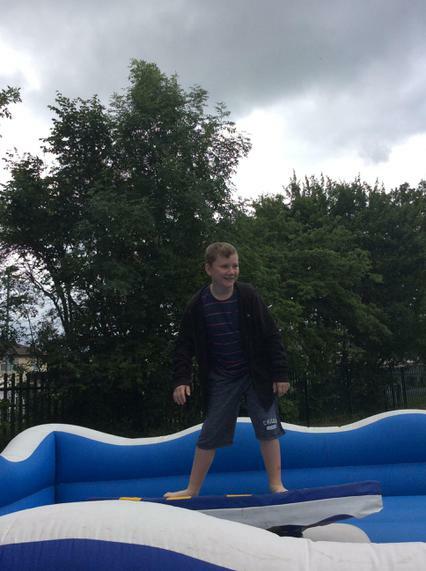 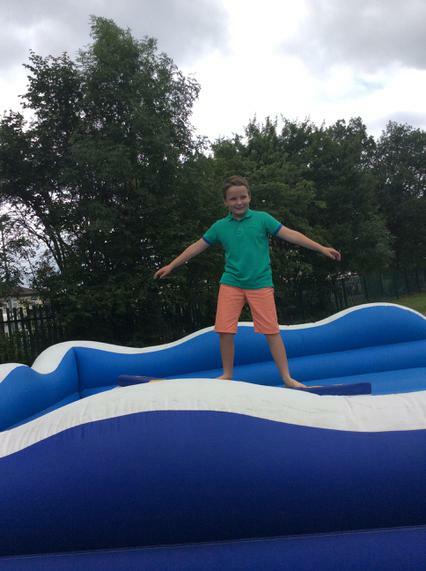 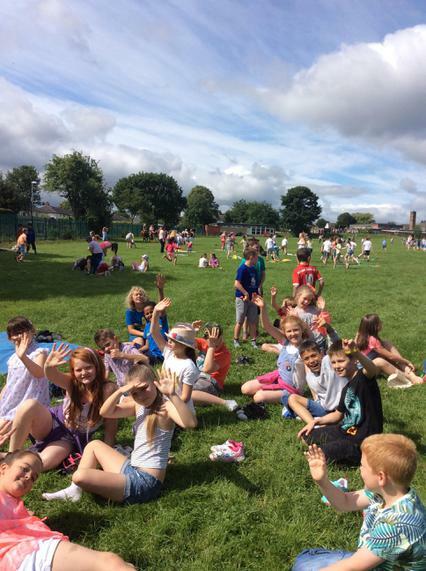 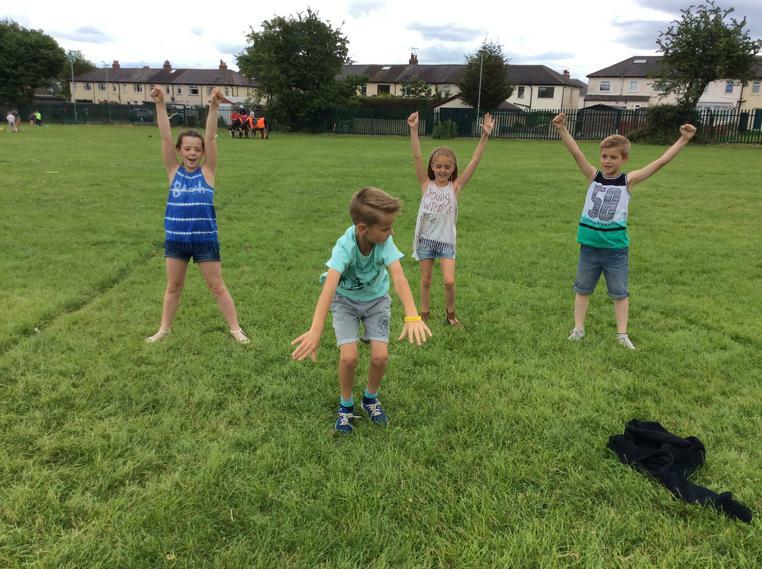 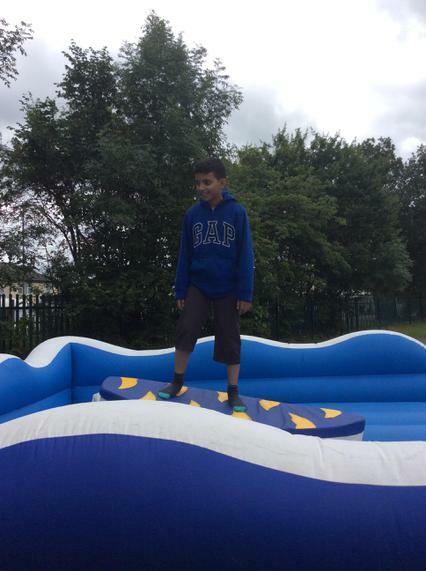 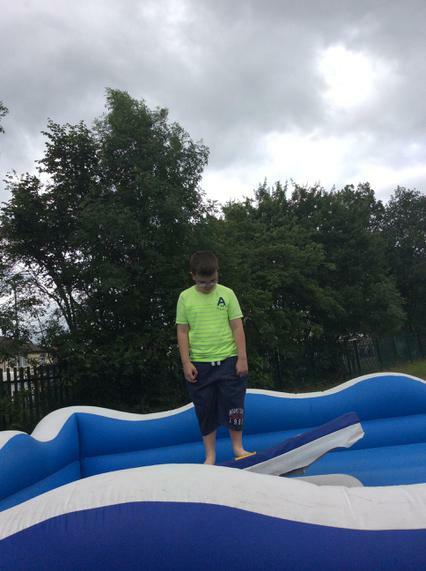 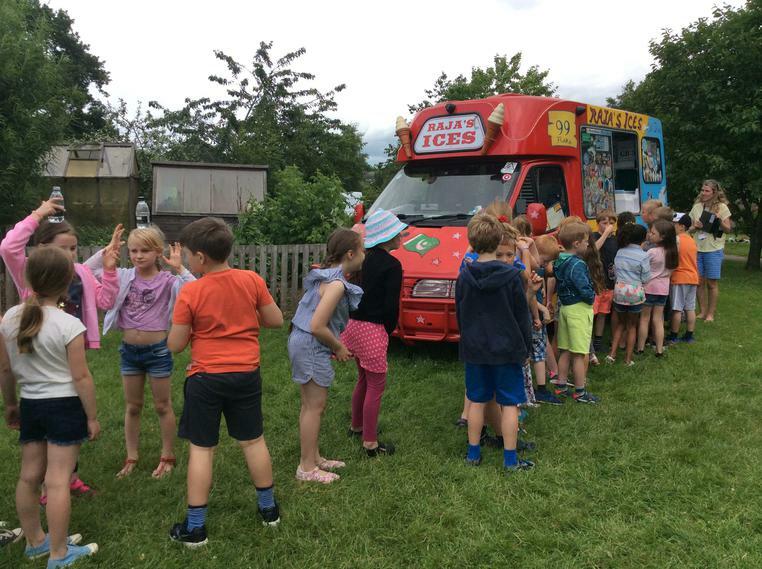 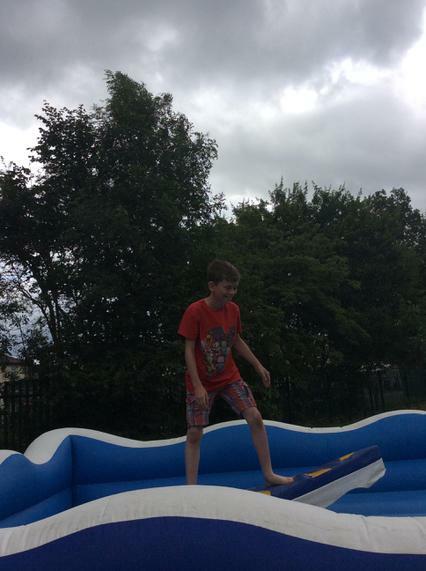 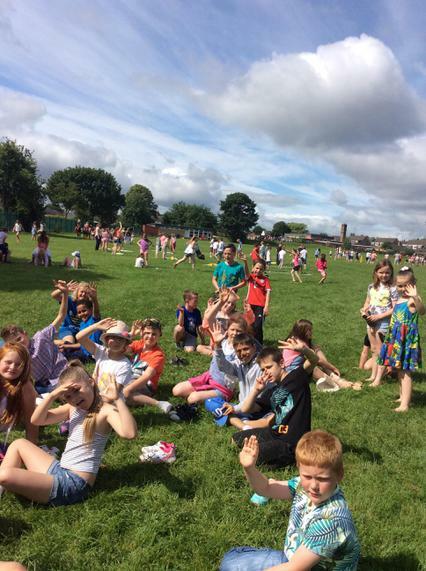 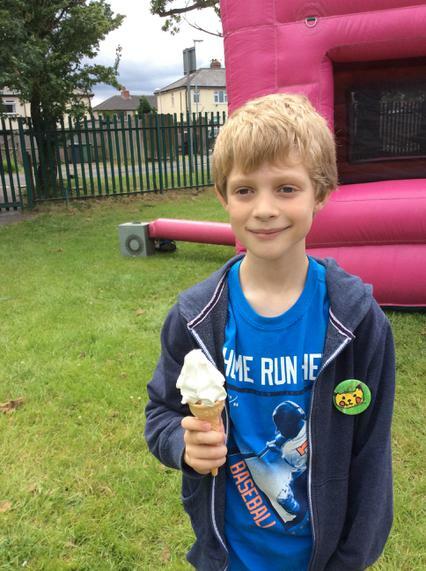 Thomas S Year 4 - ' I really enjoyed seaside day. 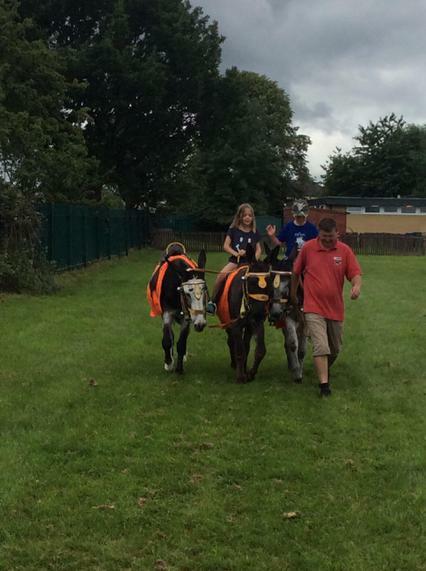 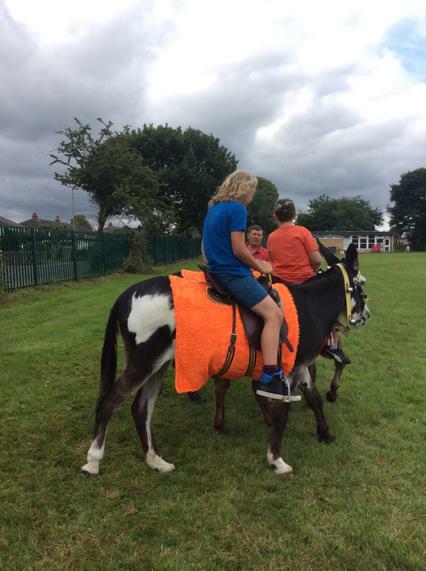 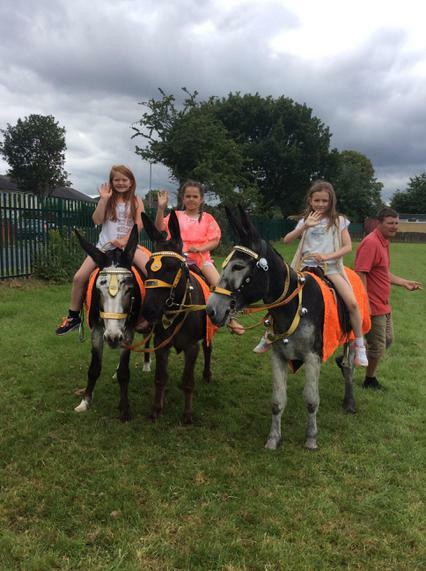 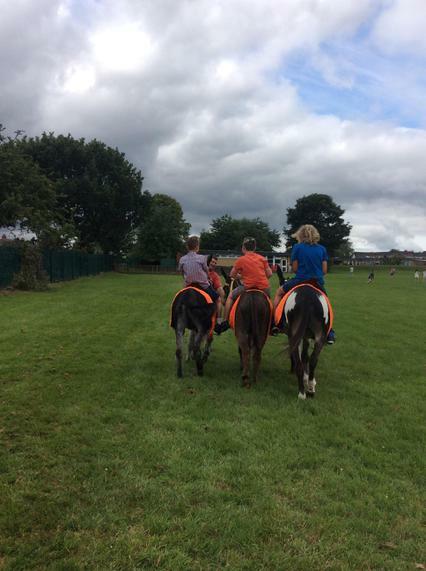 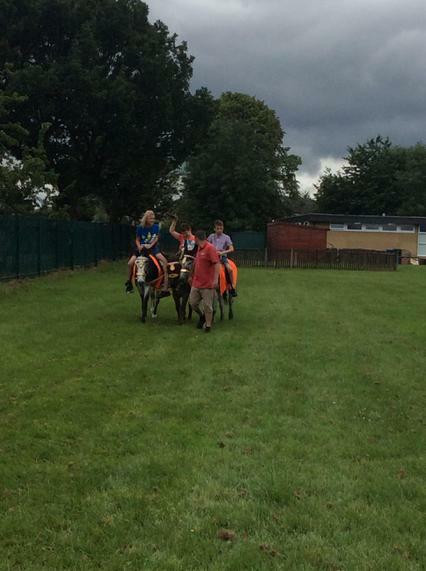 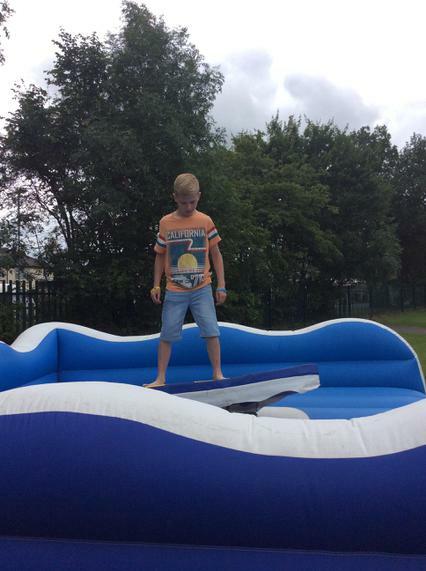 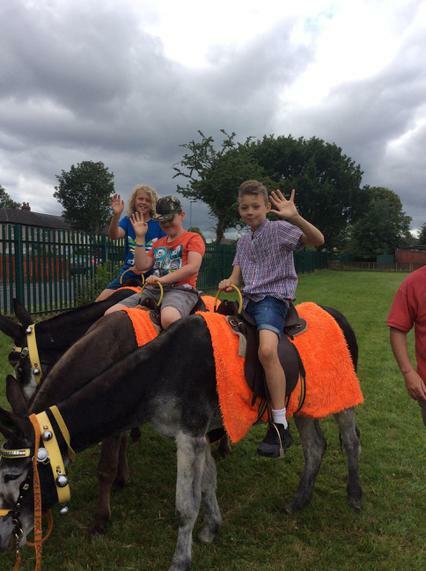 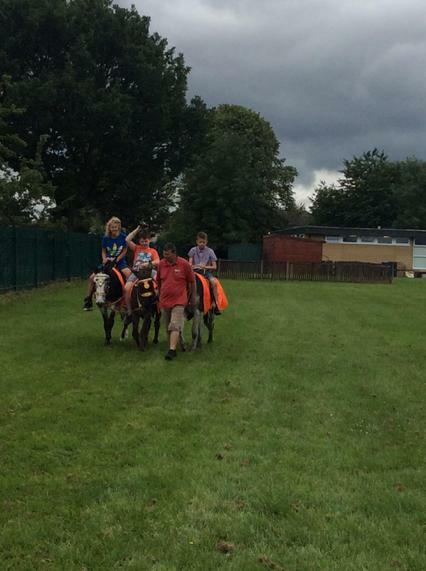 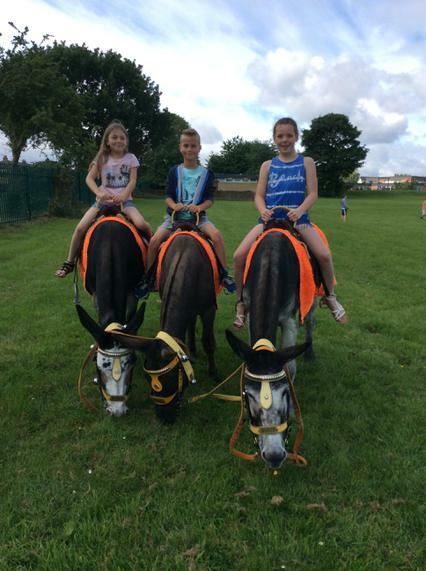 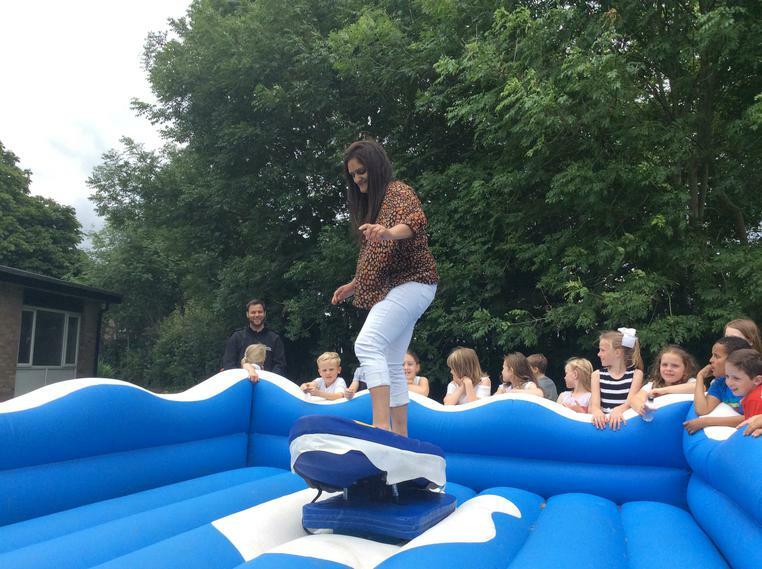 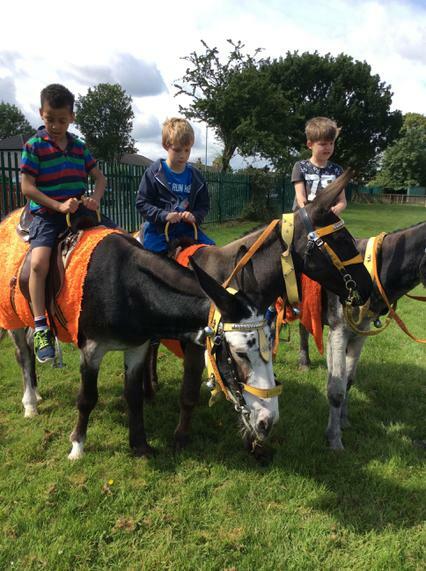 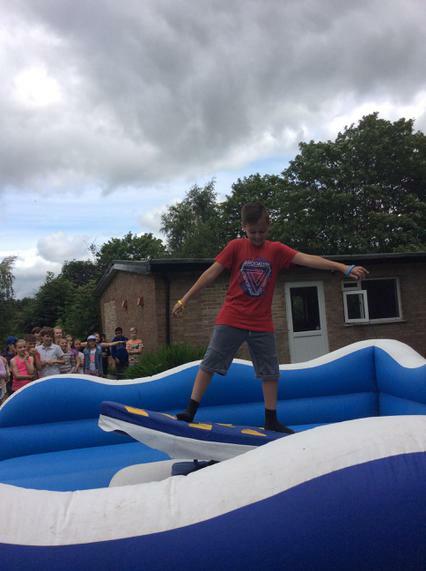 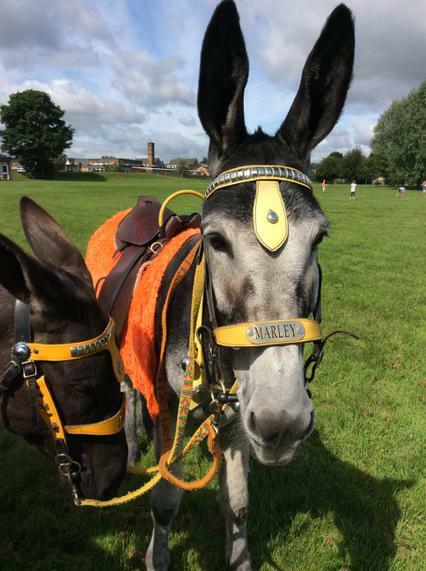 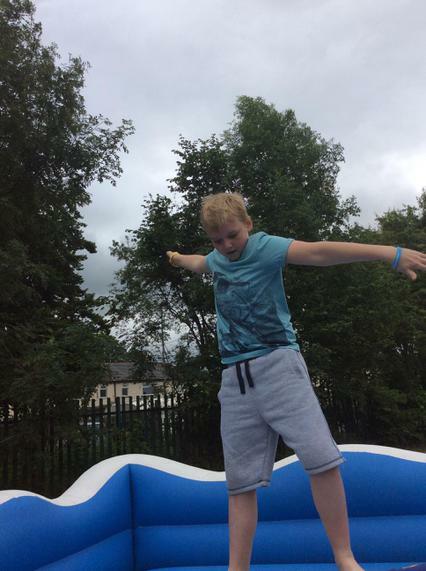 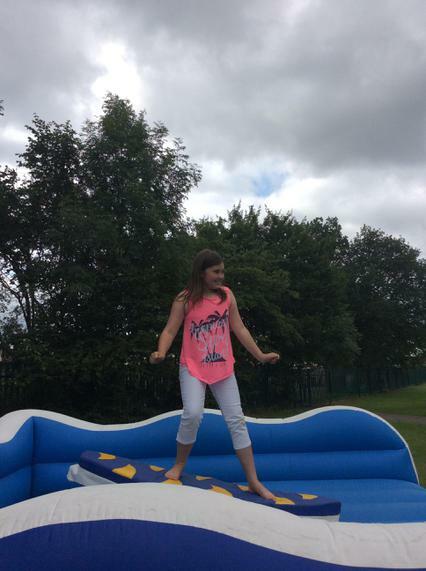 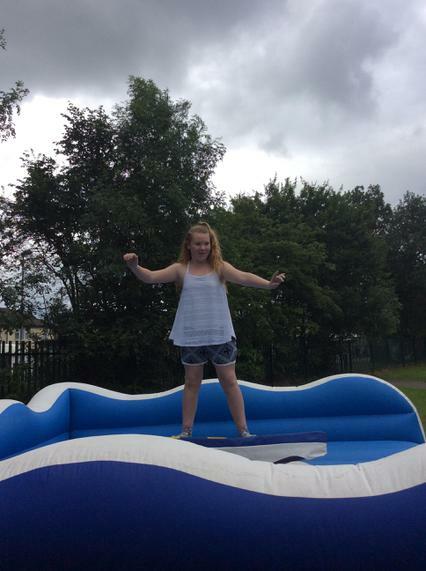 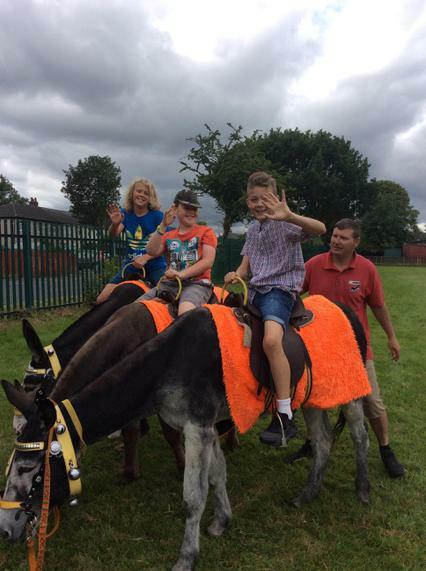 My favourite three things were: the surfing, the bouncy castle and the donkeys'. 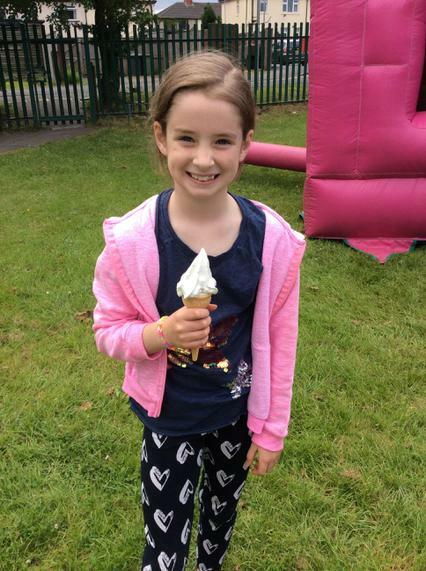 Bonnie Year 4 - 'I enjoyed the mini golf'. 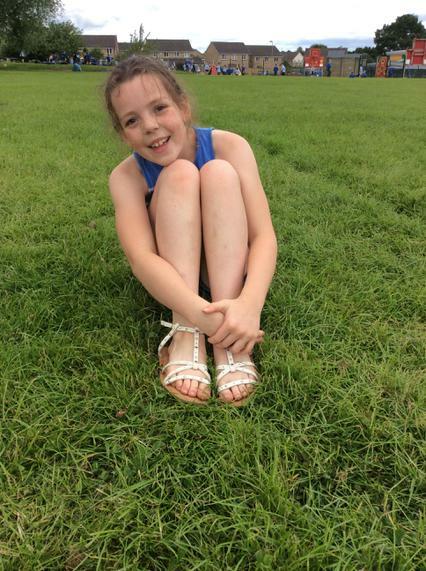 Lucy Year 3 - ' I enjoyed seaside day because we had a coconut shire'. 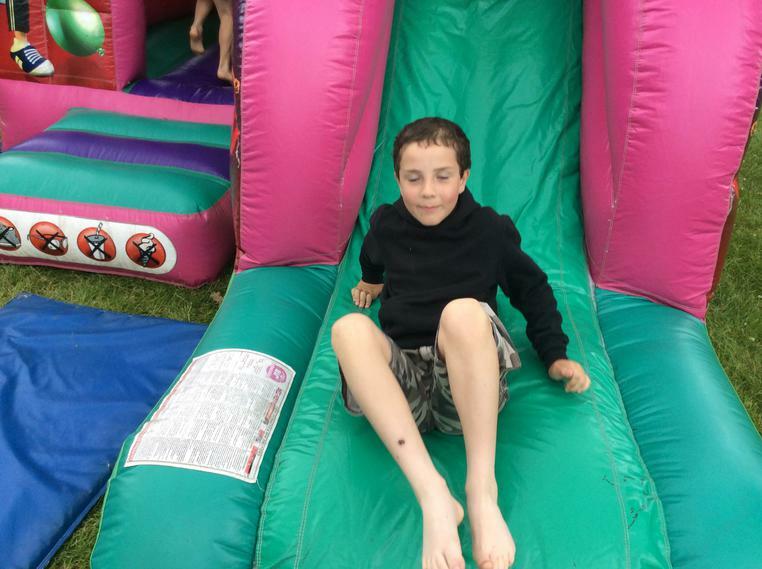 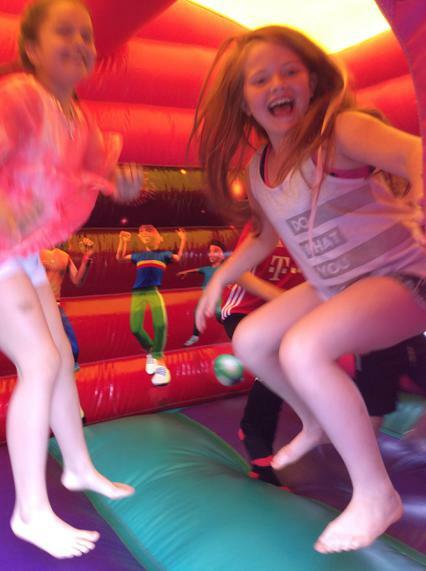 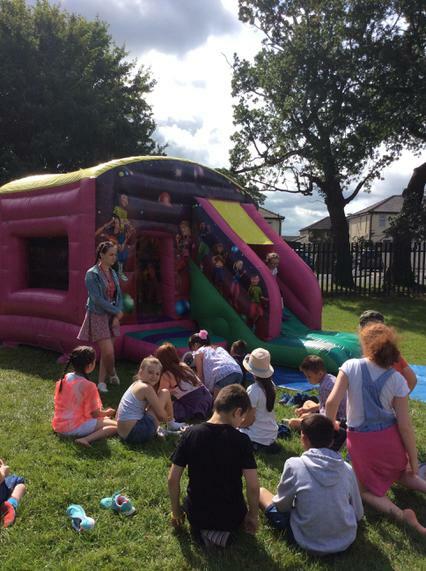 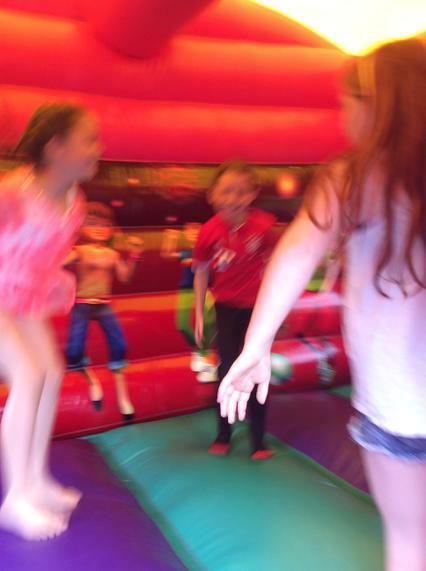 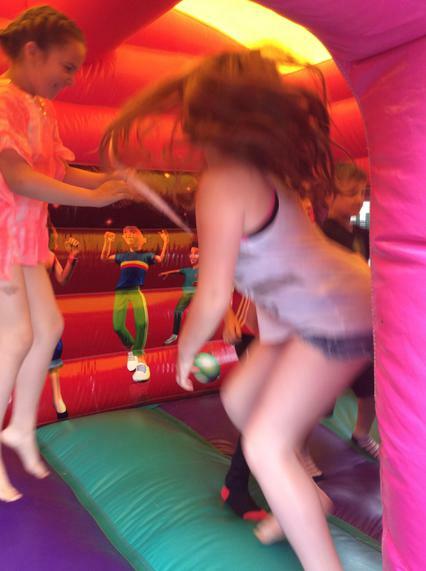 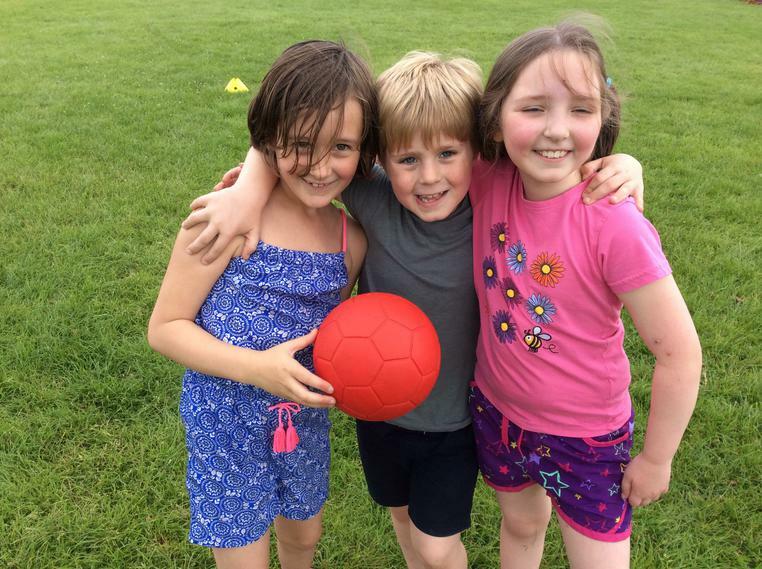 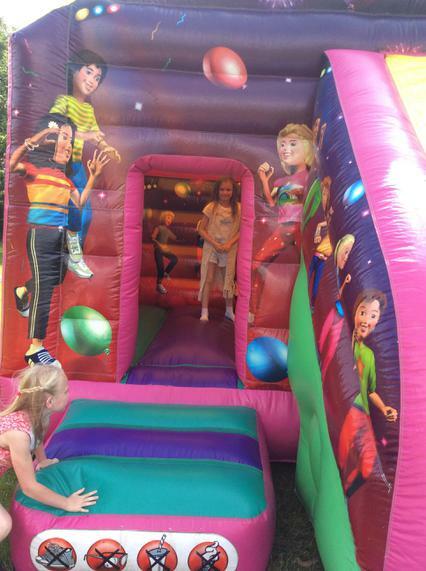 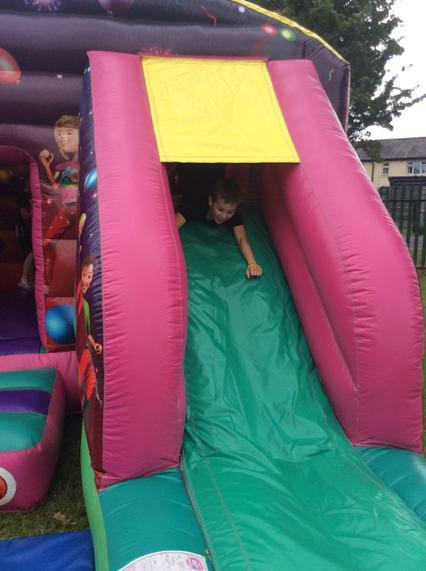 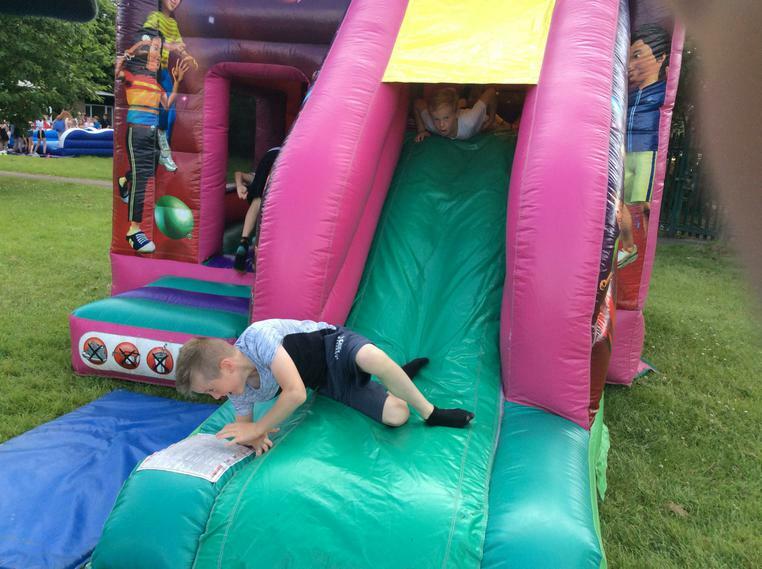 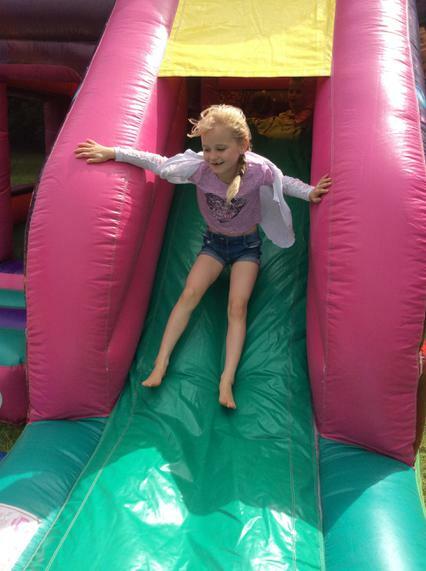 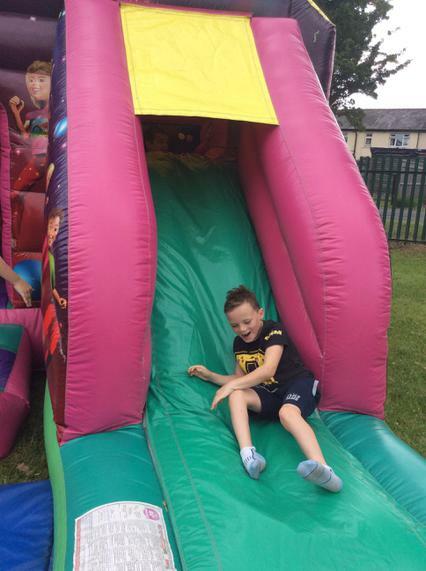 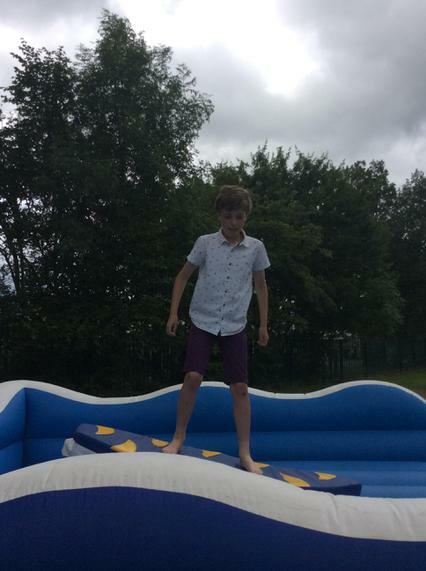 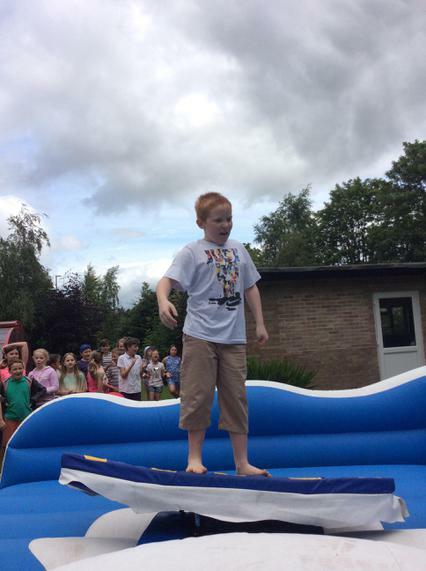 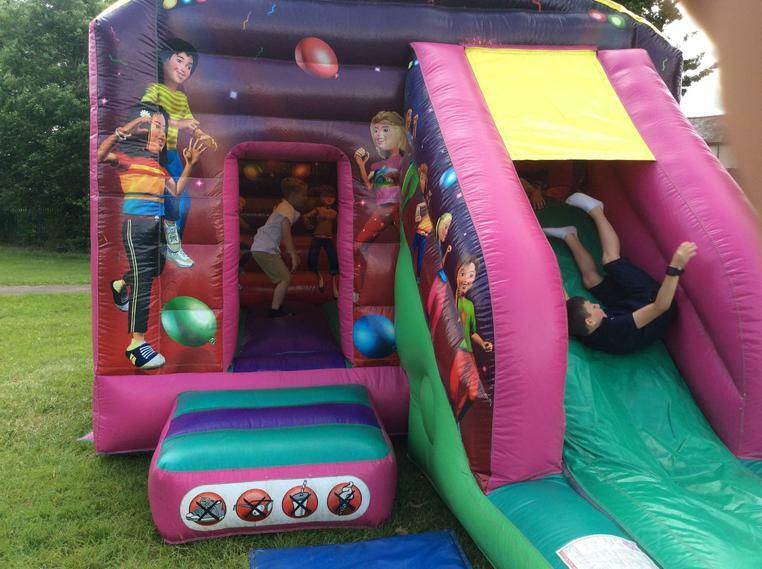 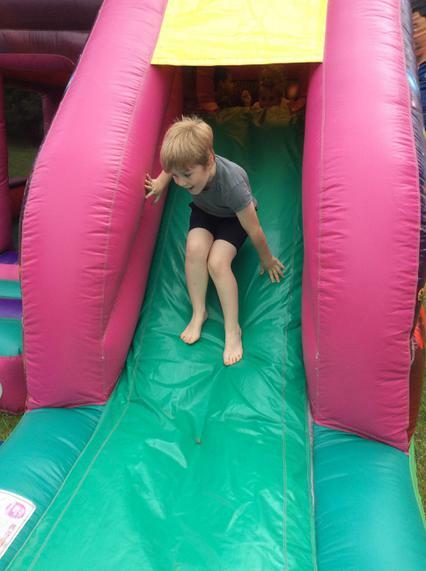 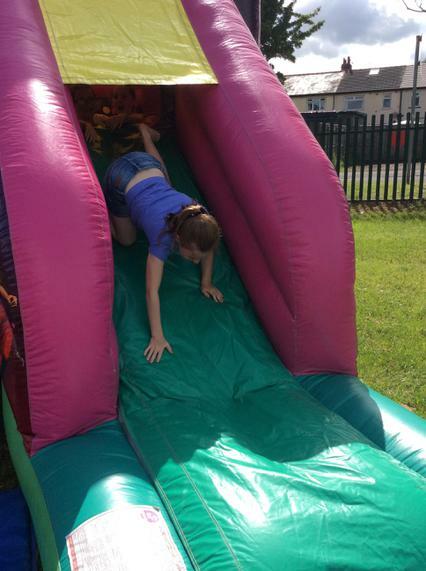 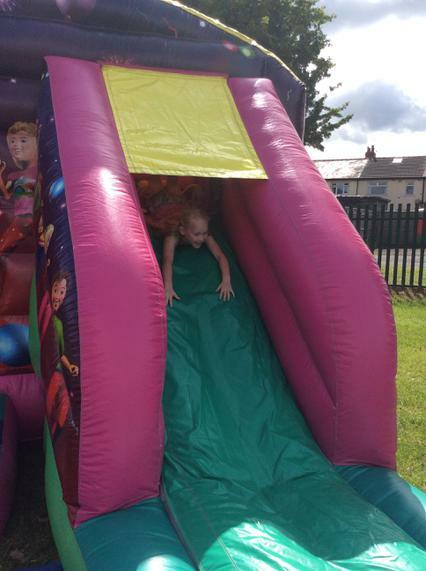 Spencer Year 3 - 'I liked the bouncy castle'. 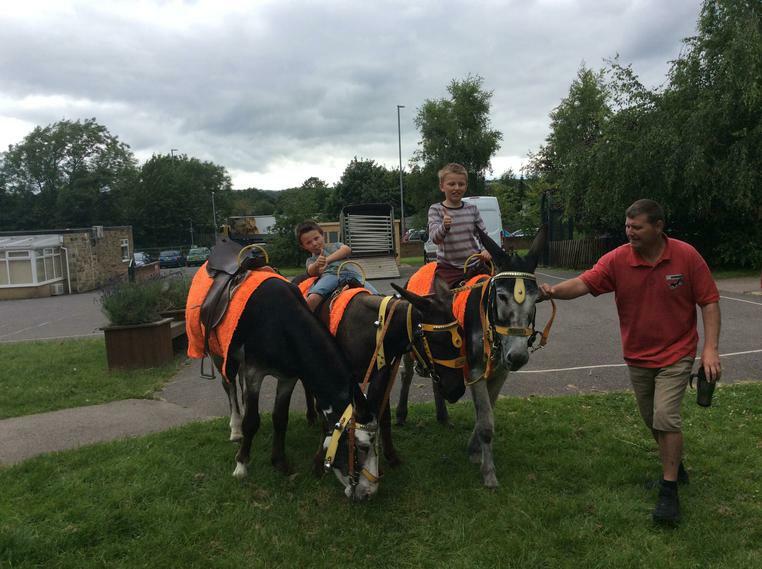 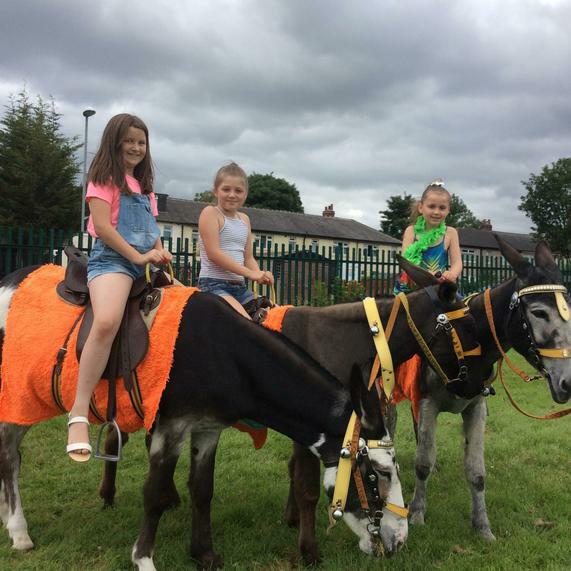 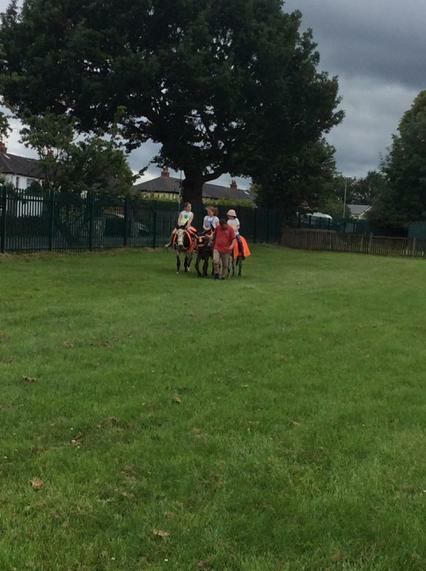 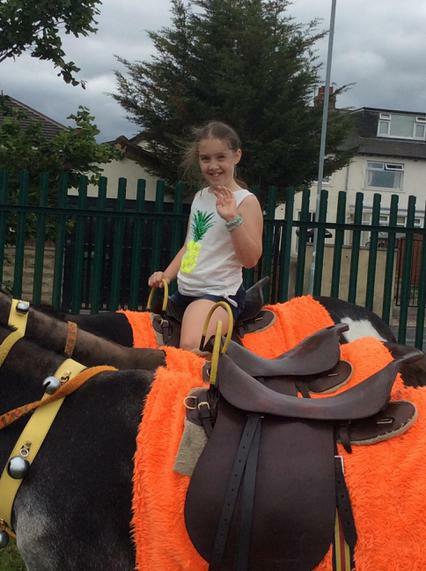 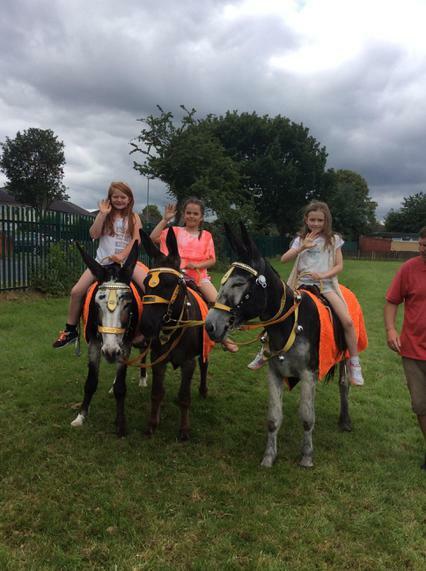 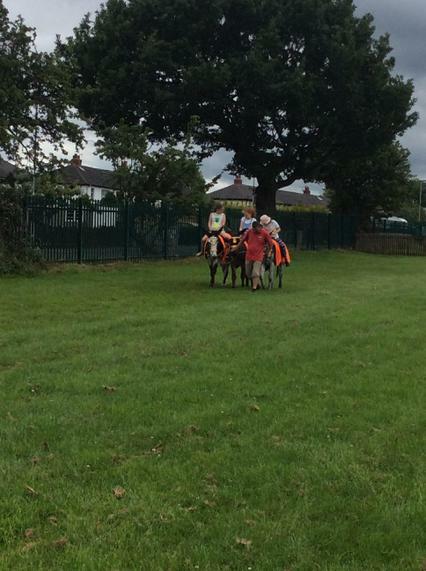 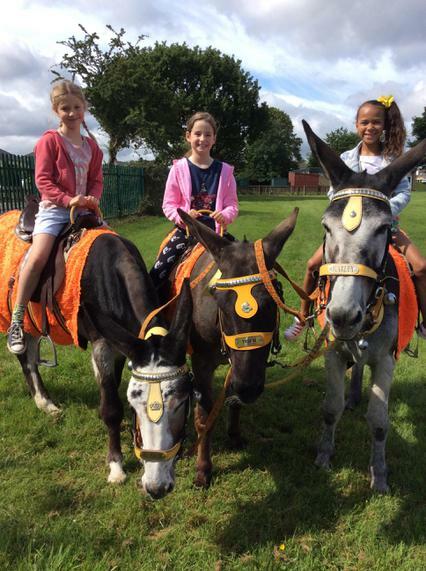 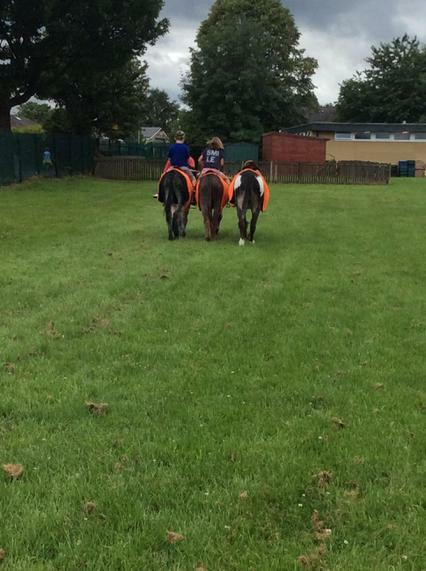 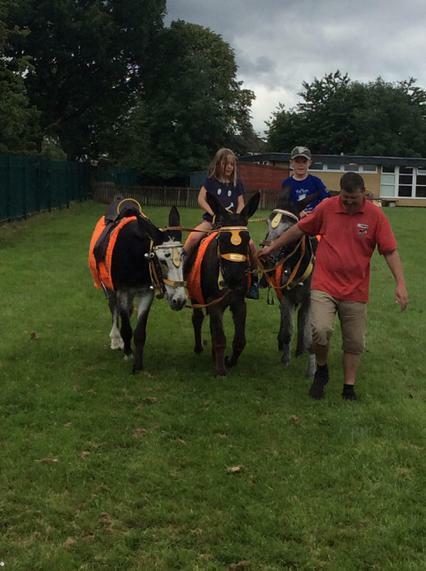 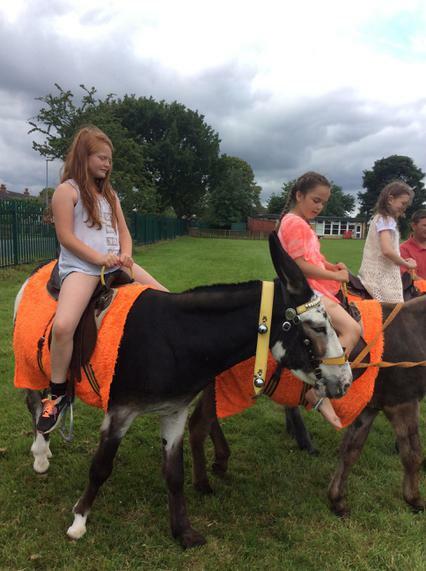 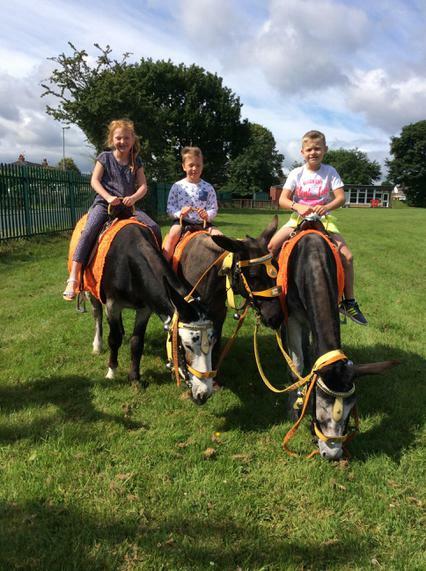 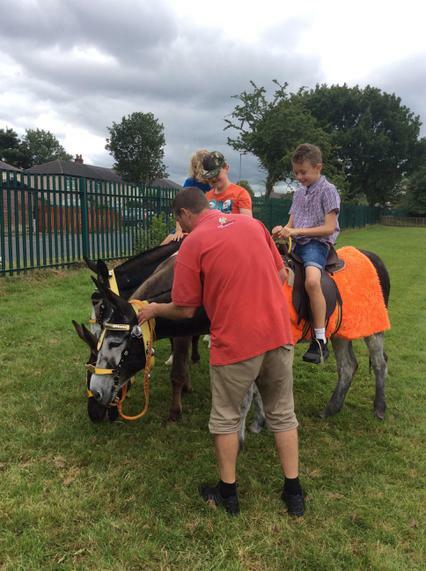 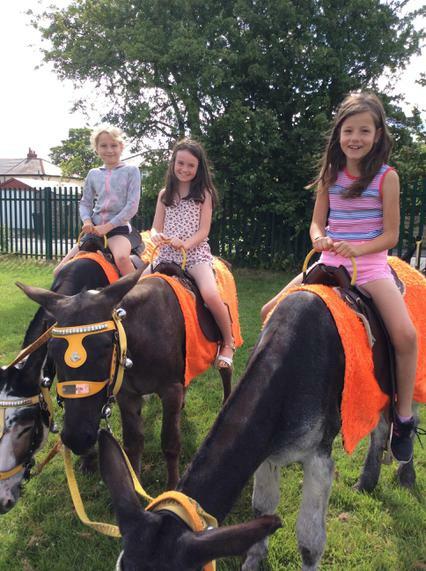 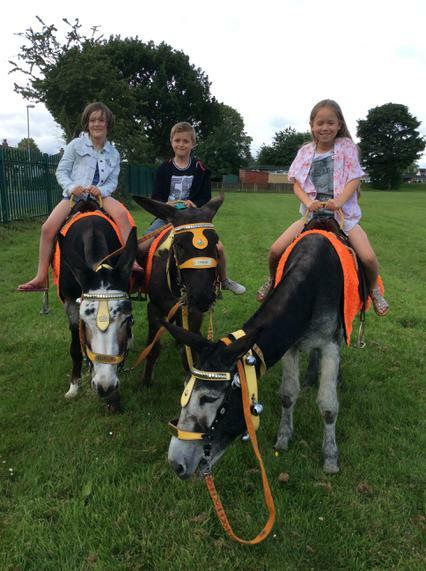 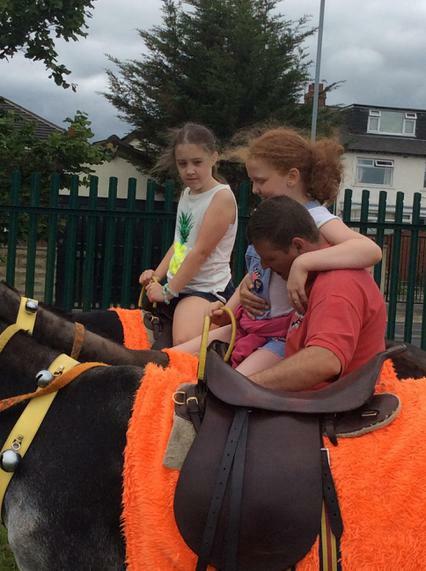 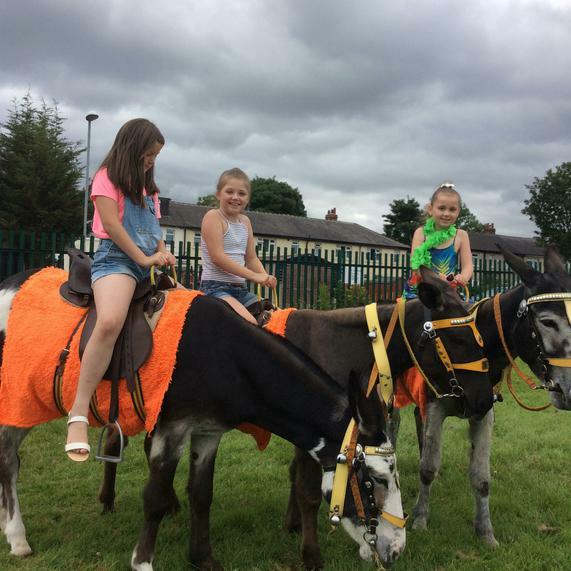 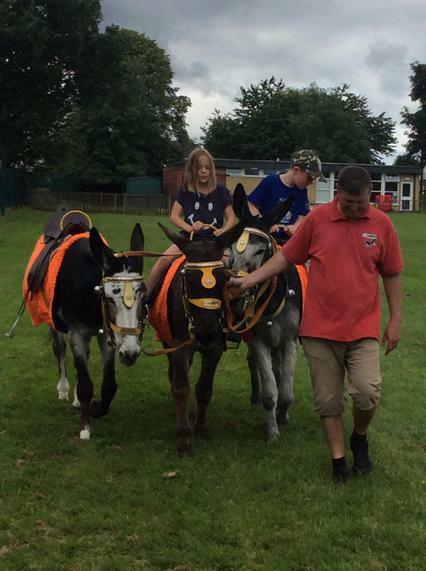 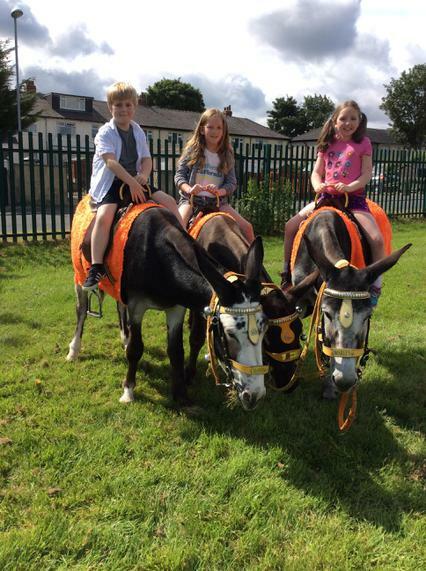 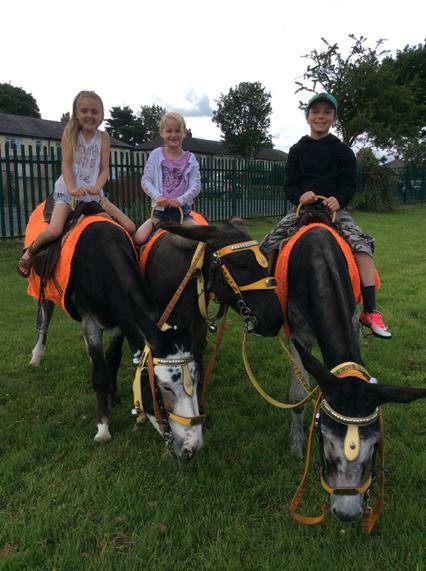 Eleni W Year 3 - 'I enjoyed seaside day as I got to ride a donkey'. 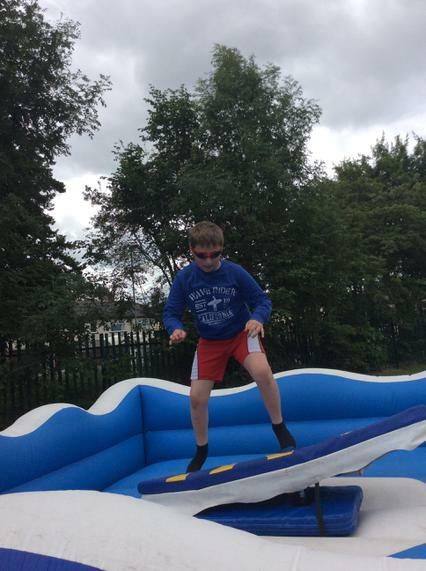 Louis D Year 3 - 'I enjoyed seaside day because there was a surf simulator'. 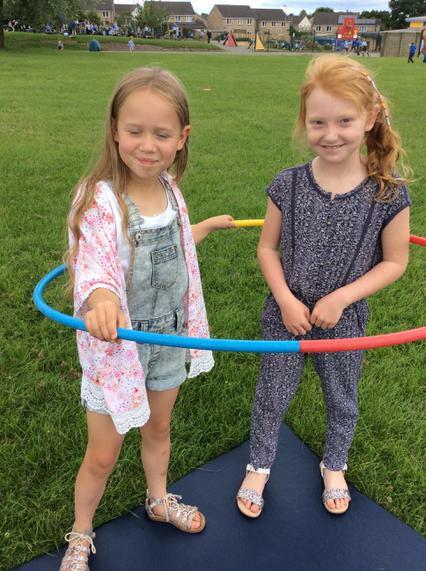 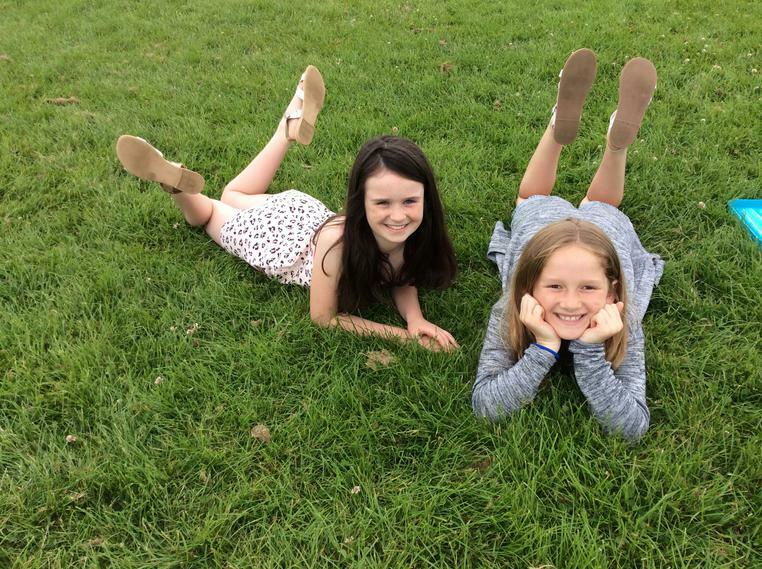 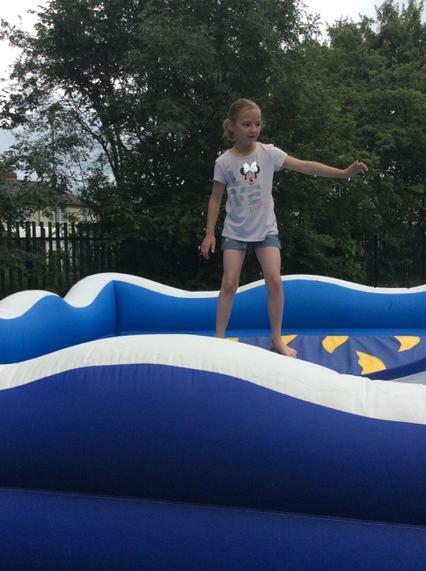 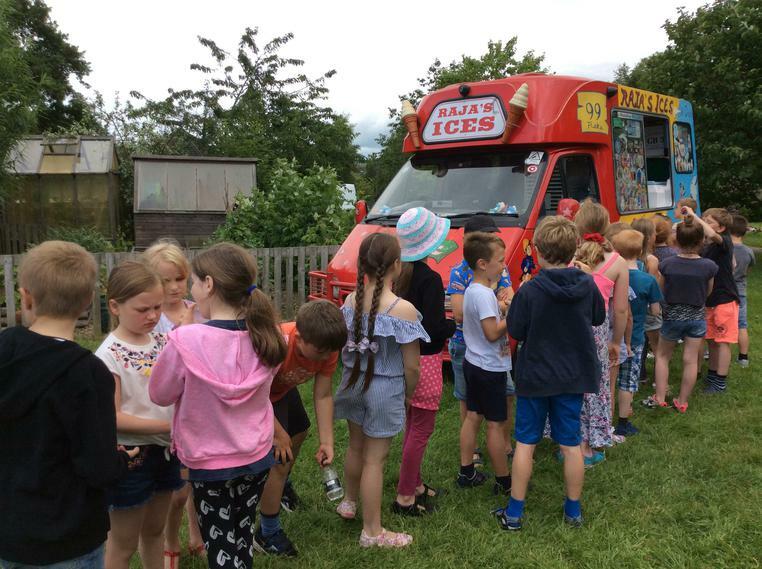 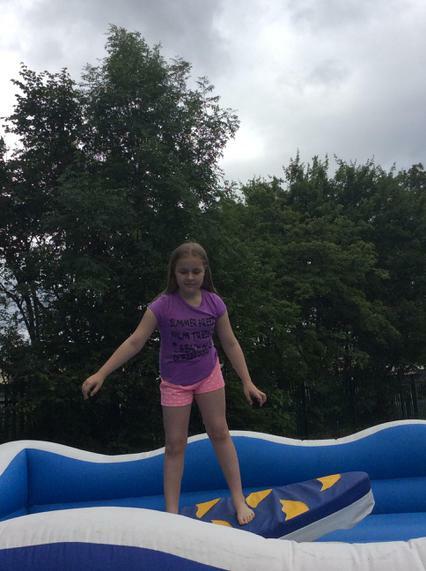 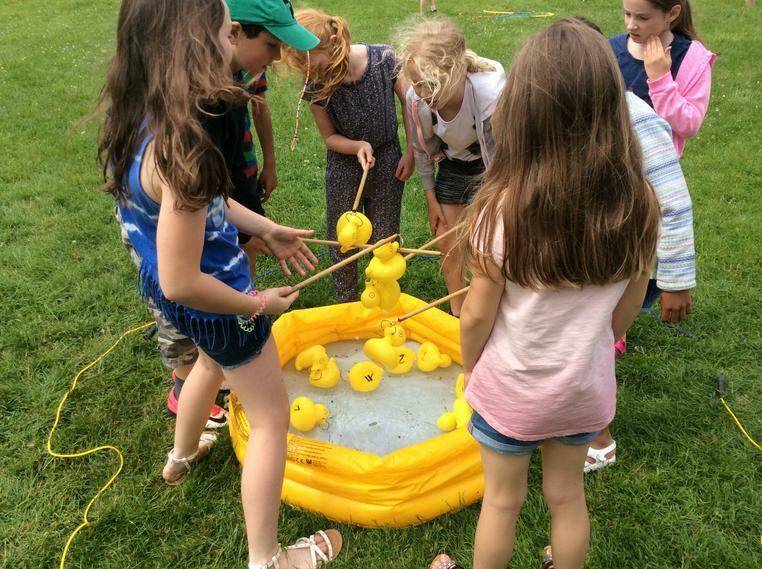 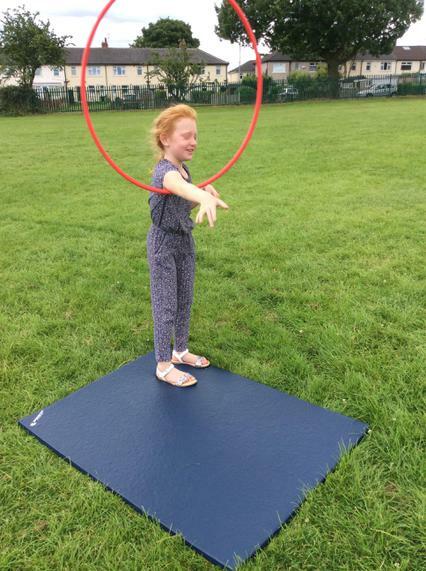 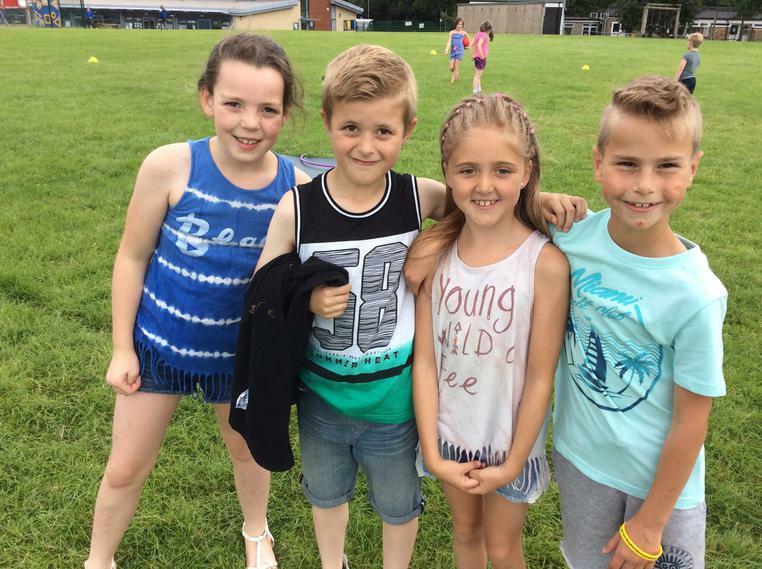 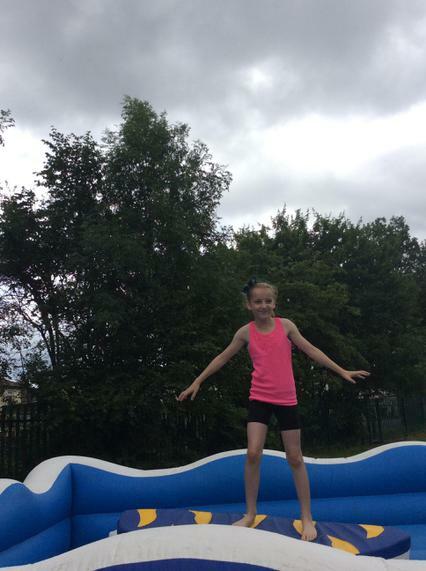 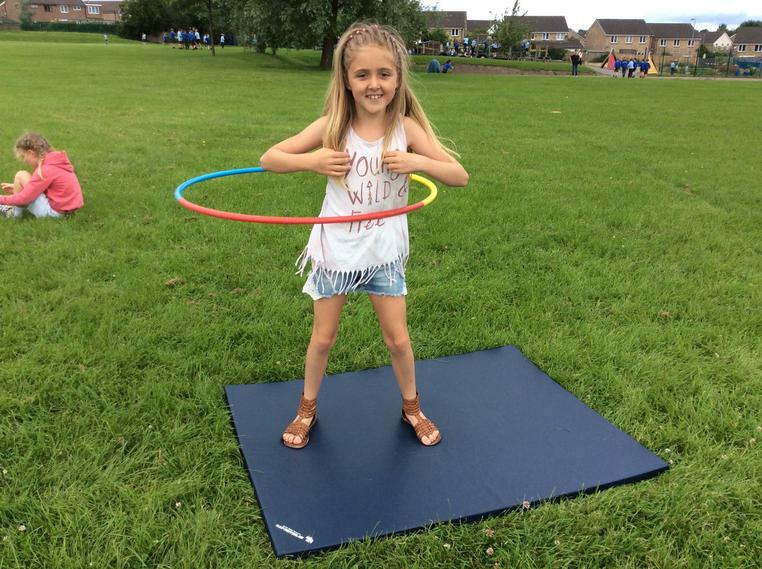 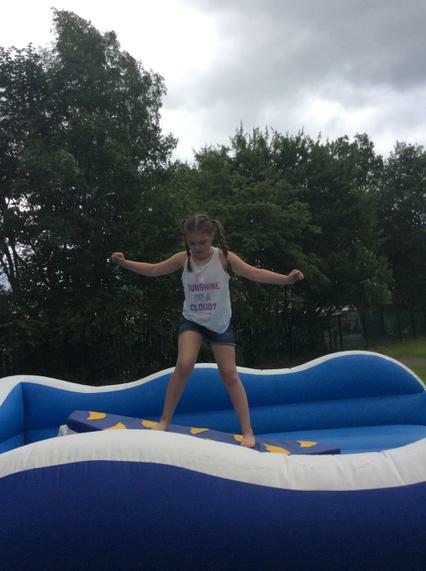 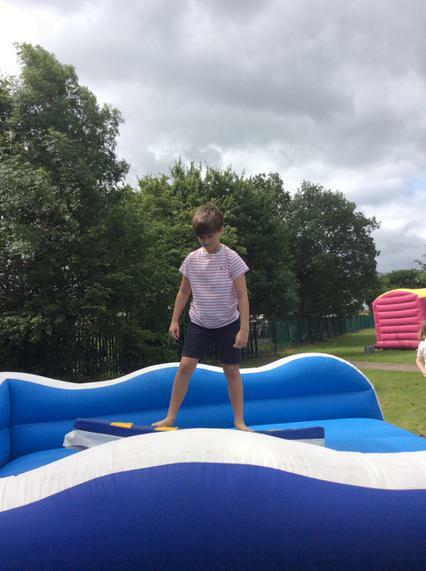 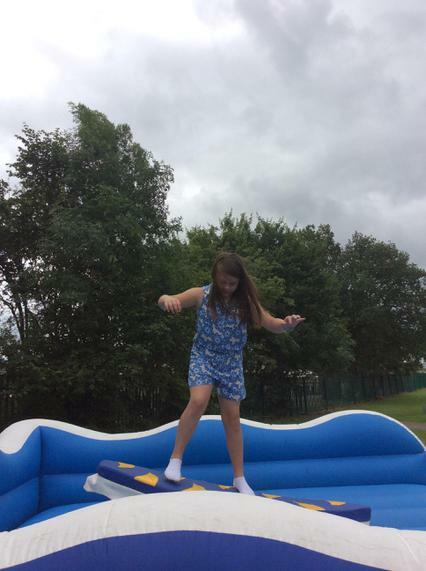 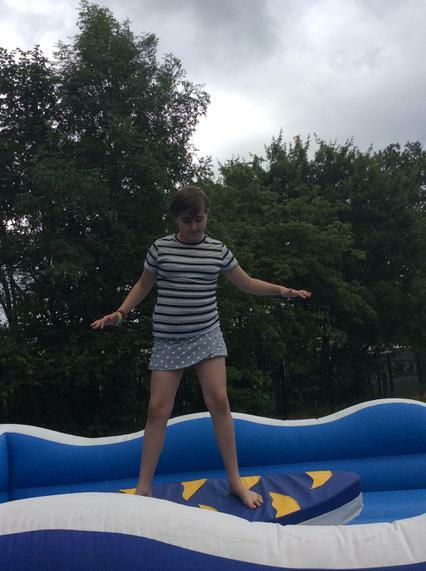 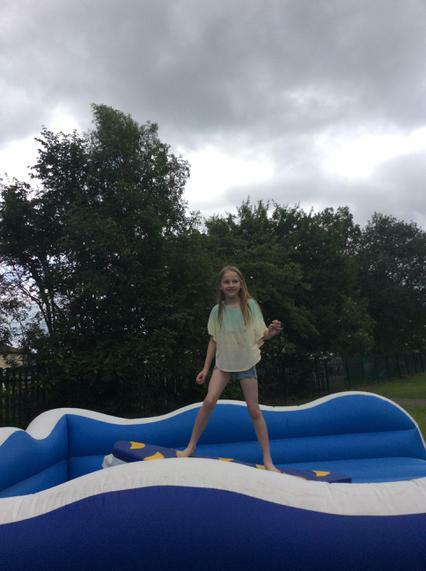 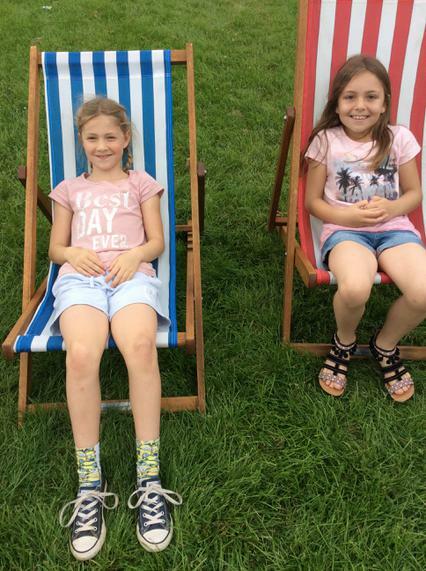 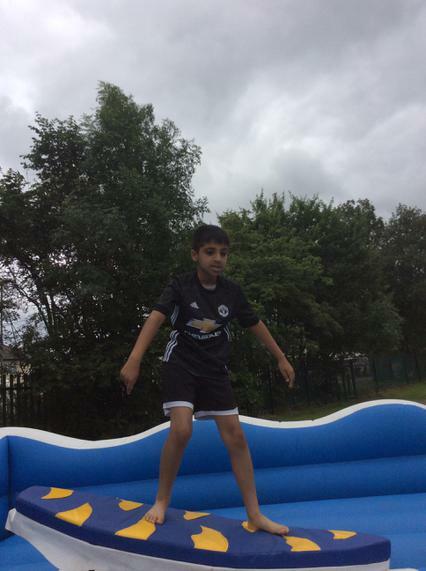 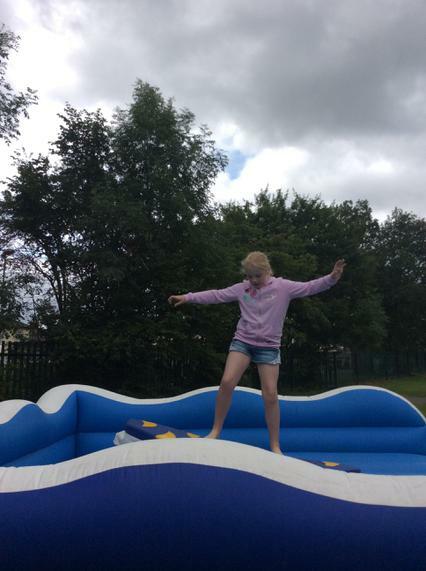 Nancy Year 6 - 'I really enjoyed seaside day because i liked going on the wave simulator and spending time with my friends'.